​​Tom Brady becoming the first quarterback to capture six Super Bowl titles wasn't the only history made Sunday night. The big game also made some history in a way that nobody at CBS is going to brag about, posting the worst ratings for a Super Bowl since 2003. In the first Super Bowl on CBS since 2016, the network saw their ratings dip just over eight percent from their last broadcast. The ratings probably don't come as much of a surprise to those who watched the game. 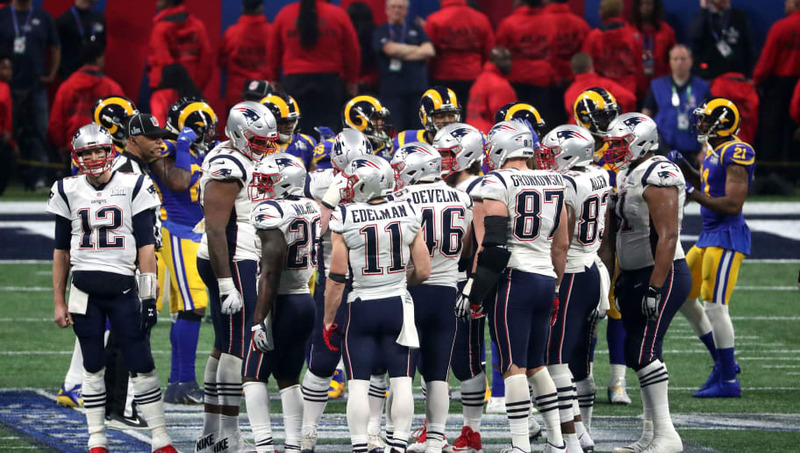 The Patriots' 13-3 win over the Los Angeles Rams was the lowest-scoring Super Bowl in history, with the first touchdown of the game coming via a Sony Michel run in the fourth quarter. The low-scoring affair was probably a turnoff for more casual NFL fans or fans that didn't have much of a rooting interest in the game. It's rare to see such a defensive battle in today's game, but that's what we got Sunday night. The game not only made Super Bowl history for Brady and Belichick's sixth title and the ensuring low rating, but it came with a fun fact as well: with Julian Edelman earning ​Super Bowl MVP honors, the Patriots became the first team to have two Super Bowl MVPs that started a season suspended.